Budapest, Hungary - Podmaniczky U. 8. 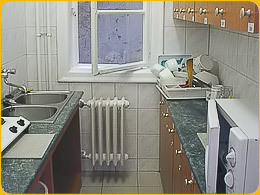 Hostel Banki is located in the city centre on the Pest side near to the 4-6 tram line and Nyugati train station. It accessible with blue metro line (M3) and other public transportation. From the hostel, there are many city sights nearby. For instance, Margit island. Budapests largest western style shopping centres Westend City Centre. 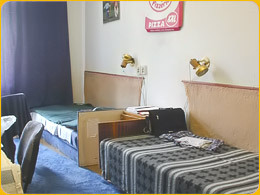 The hostel has twin double rooms and also bunk bedded. Their 4-bedded rooms are also with bunk beds. Shower and toilets are outside the room. We offer guided bus tours in English, German and Spanish as well as various walking tours in English. You can also take adventure tours. According to our cancellation policy you can cancel your reservation 72 hours before your planned arrival without any charge, otherwise we would charge your credit card with the amount of the first night. The hostel is located in the centre of Buda next to the 4-6 tram line (Petofi bridge, Budai Hídfo). Schönherz is also easily accessible from Nyugati train station and the city centre. Many city sights are nearby, for instance, Gellért hill, Citadella, and the Gellért and Rudas thermal baths. To get to the hostel from Keleti Railway Station take trolleybus number 76 and get off at Nyugati or take red line Metro for 3 stops (M2) to Deák tér, then Metro 3 (blue line) for 2 stops to Nyugati pályaudvar. From anywhere in town, take tram 4 or 6 or Metro 3 (blue line) to Nyugati pályaudvar stop. Catch buses, trolley bus 76 and get off at Nyugati pályaudvar stop.